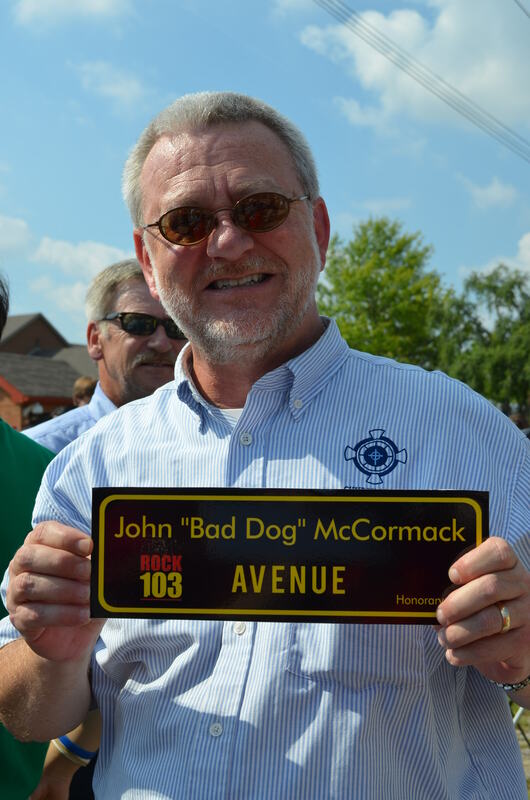 Ok, it’s actually called John “Bad Dog” McCormack Avenue, and formerly Alabama Avenue– but whatever you call it, Bad Dog’s got his own street now! 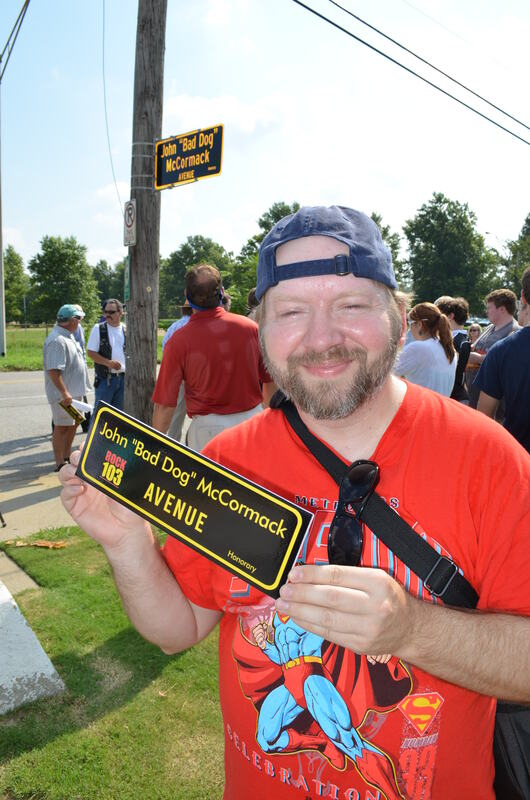 Last week the city of Memphis renamed the street in front of the Ronald McDonald House in honor of Bad Dog who had helped raise millions of dollars for the RMH and families of cancer patients receiving treatment at St. Jude. 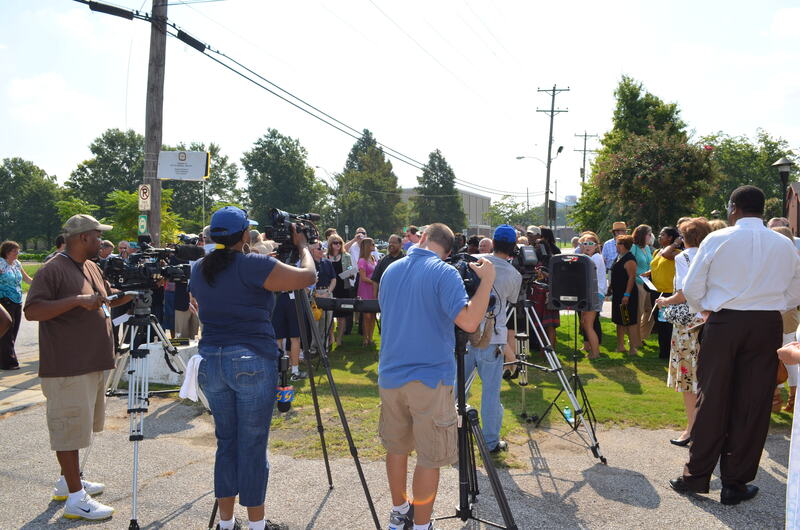 There was a great turnout for the unveiling ceremony as the Dog never knew a stranger. 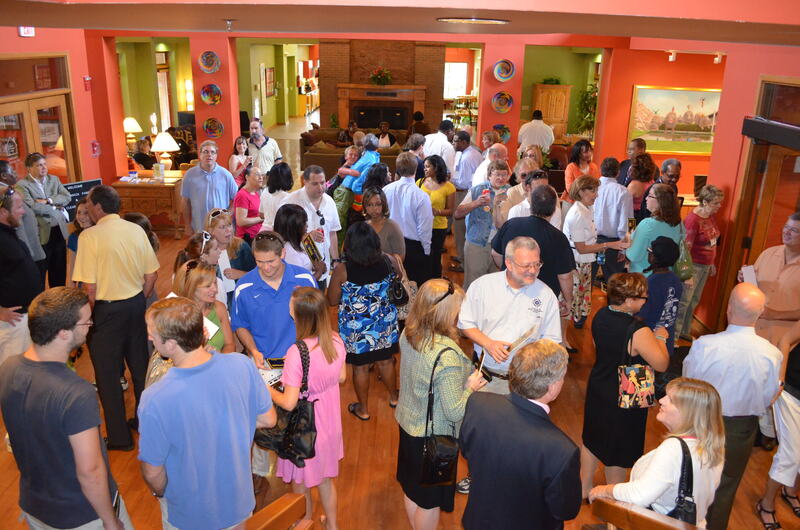 The RMH’s Executive Director Caron Byrd welcomed the guests. 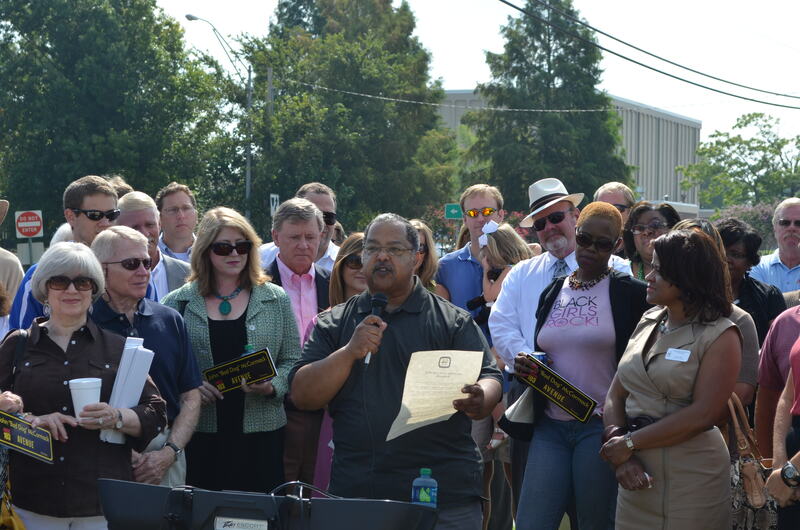 She then introduced city councilman Myron Lowery who read aloud the proclamation in front of the large crowd of Bad Dog’s friends and family. Big Frank from K97 radio made sure everyone got a souvenir of the event. 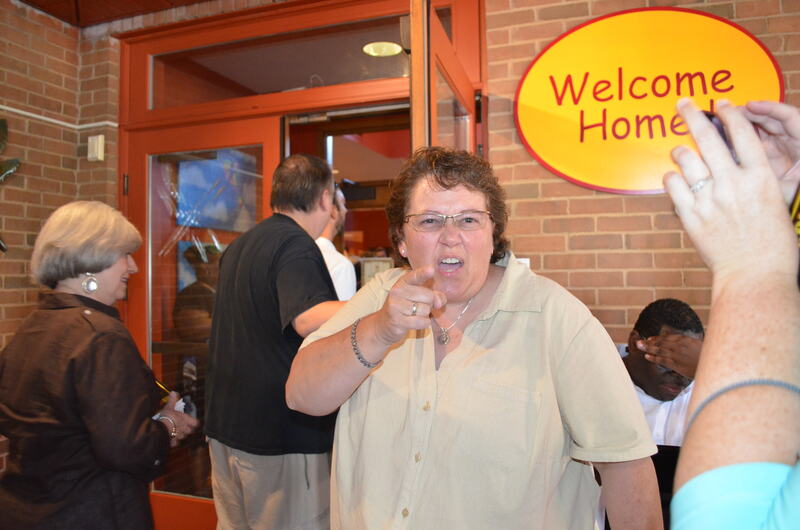 Before the unveiling ceremony radio personality and one of Bad Dog’s former Wake-Up Crew co-horts Bev Hart welcomed everyone into to the RMH…as only Bev can! 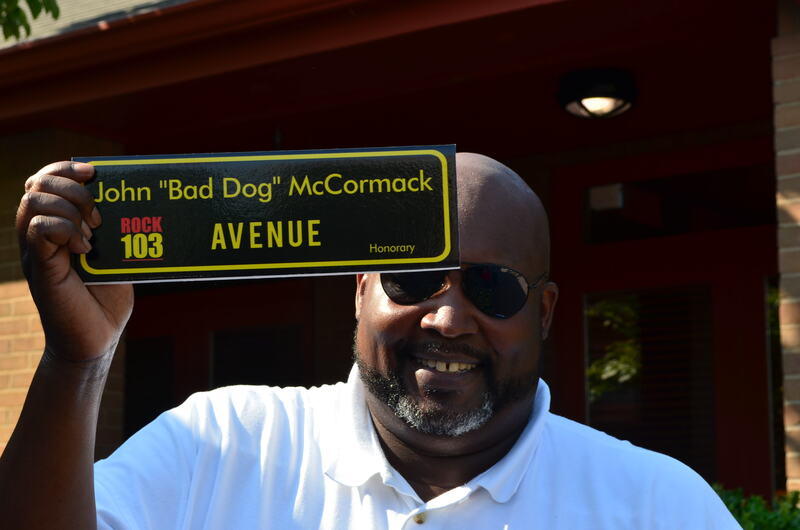 She said Bad Dog would have been proud to have his own street, and would have made it a toll road so he could raise more money for the kids at the Ronald McDonald House. Back outside it got a bit warm, but many folks like Leon dressed for the occasion. 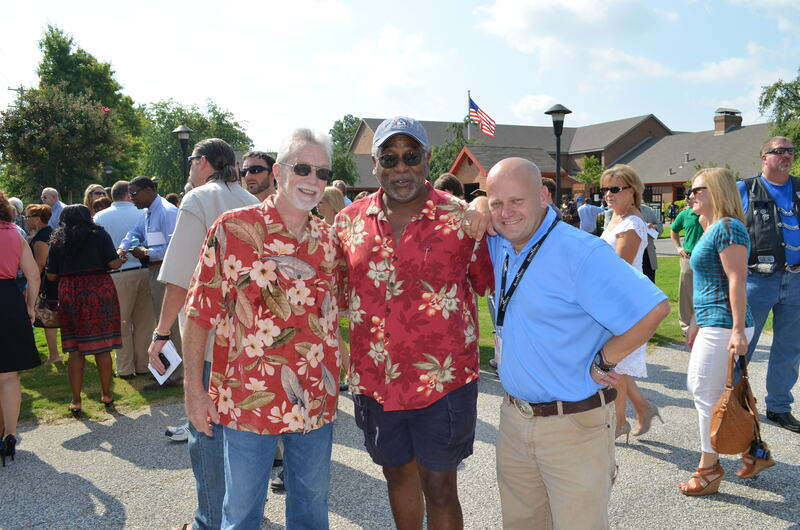 It was good to see him and many of my RMH family of friends. 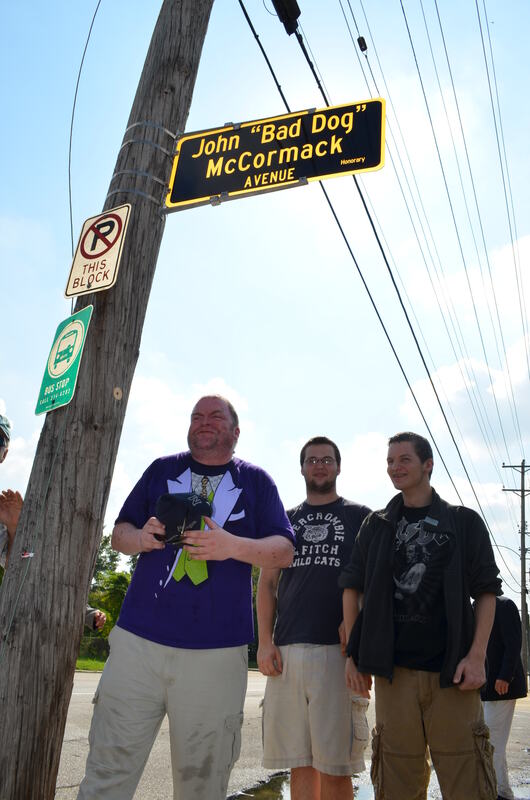 At the end of the ceremony, John’s brother Tim McCormack said a few words. As he spoke I remembered some of the things he said at Bad Dog’s funeral, and I had a tear and a smile. 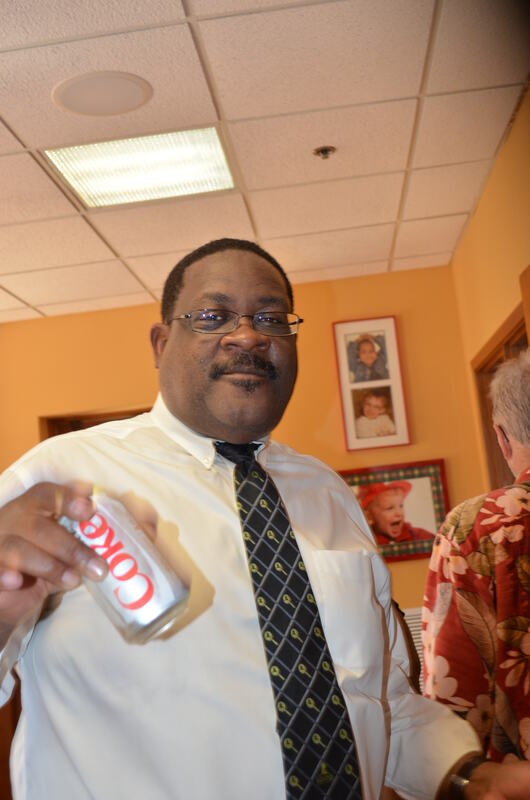 Jim Byrd had a Coke and a smile. Hey, it got warm and he was wearing a tie! After the unveiling ceremony we made our way back into the house and listened to one of the families staying at the RMH tell their story . Later many folks broke up into groups to tour the house, others caught up with old friends again. Lots of Rock103 co-workers (some former, some not- long story), some RMH board members, former RMH staff, and a lot of local media faces were there to celebrate. 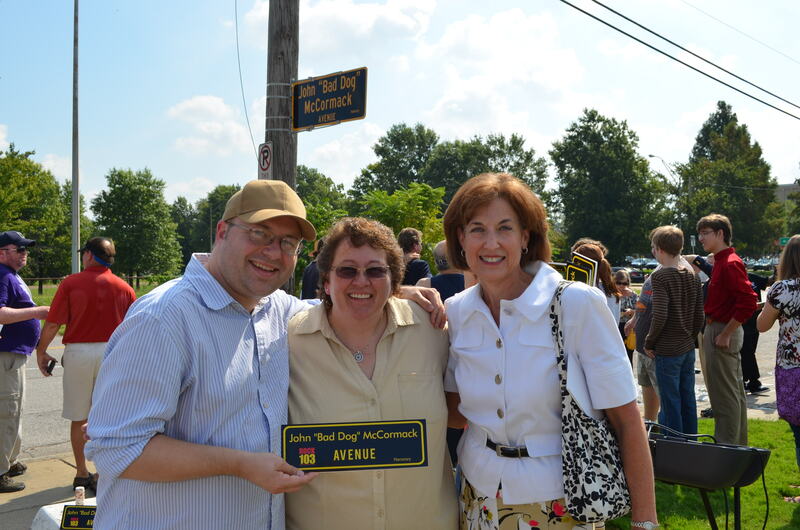 Former RMH Executive director Carol Kirby was there, and even Kevin Williams was able to take off work for a bit, but Muley was no where to be seen. Back inside the lobby of the RMH John’s sons Buck and Tucker McCormack were interviewed about their good dad the Bad Dog. Dang those boys have grown! 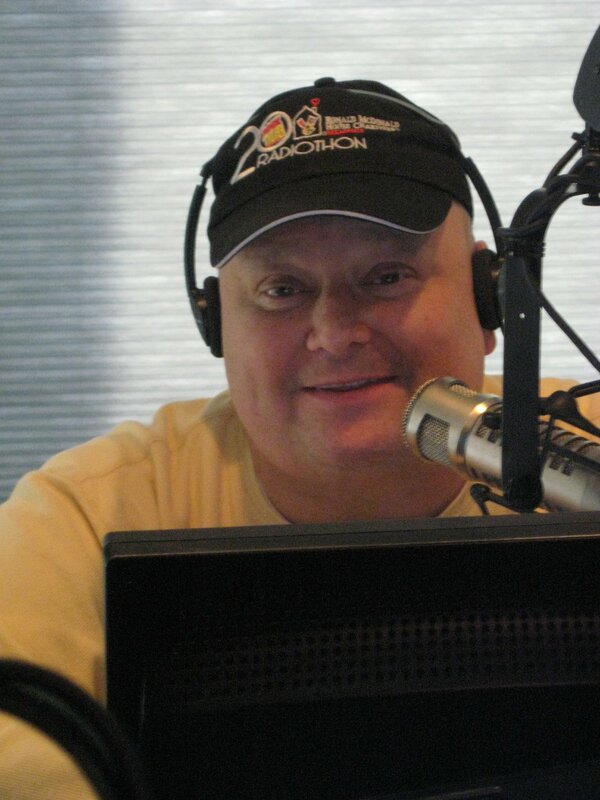 As I drove around town I heard several of his old Twilight Phone prank calls and other Wake-Up Crew highlights on Rock103- or “Bad Dog 103” as it was being called all day. John was always a highlight of going down to the old Rock 103 studios on Beale Street. You could hear his laugh all the way down the hall- even with the studio doors closed! John McCormack lost his battle with leukemia just shortly after this year’s RMH radiothon. 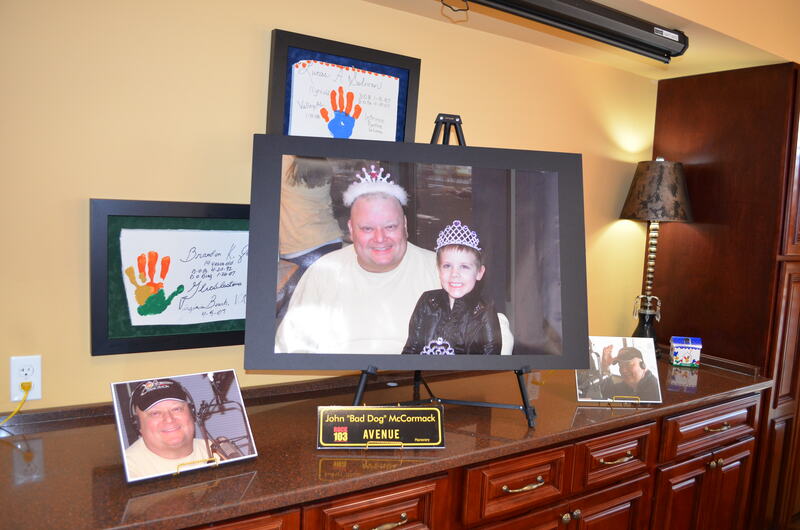 The man may be gone, but the Bad Dog’s legacy of good deeds- and some evil practical jokes and an infectious laugh, will live on. I know he can still make me smile! ← Happy 3yr Anniversary, Nicki- see ya at the alter in 2mo!